Towering 3,053ft above the town of Keswick in the Lake District, Skiddaw is the sixth highest mountain in England, and offers amazing views from its summit. A path rises steeply from the car park at Latrigg, meaning walkers need strong legs to haul themselves upwards over Little Man towards the summit. 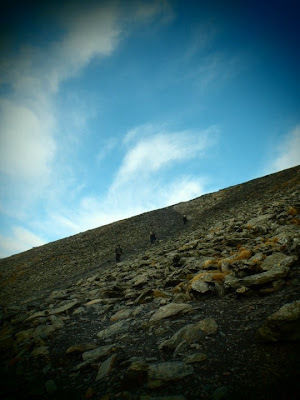 The peak is made largely of scree and offers fantastic views, with various other paths to return to the base of the mountain.